Welcome to the online home of the Bucking Bronco Monster Truck racing team. Our operation currently fields one fully race ready monster truck that’s available for full on monster truck events capable of racing and freestyling alongside the best in the industry. We also have a full size monster ride truck which can be a great addition to events, offering fans a ride along experience on a real monster truck. Book the Bucking Bronco For Your Next Event! Are you looking to make a monster impact at your next event? 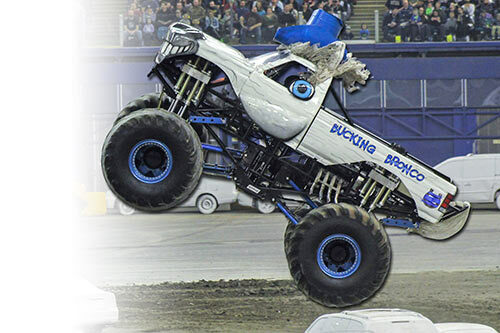 Look no further than the Bucking Bronco Monster Truck team! Our professional team is available for full scale monster truck events, car crushes, static displays, promotional events and more. We can offer both our race truck as well as our full size ride truck, which is capable of delivering a ride on experience in a real monster truck! Contact us today to bring the Bucking Bronco from our stable to yours! See Your Brand on the Bucking Bronco. Sponsor Us Today! 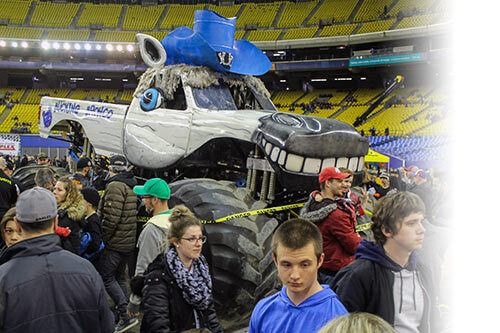 There’s no more unique way to feature your brand than on a 12 foot tall, 12 foot wide, 12,000 pound 3D bodied monster truck! If you’re looking for an opportunity to market your business in a massive way than look no further. 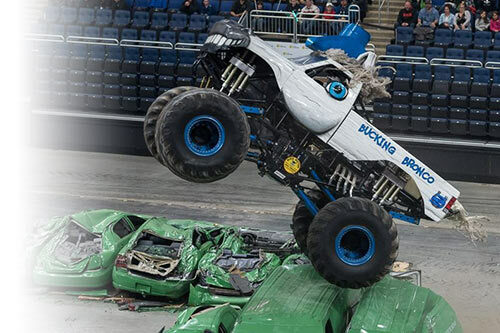 The Bucking Bronco Monster Truck team offers you a great deal of exposure in front of audiences across North America! Millions of people a year attend monster truck events and we can put your brand in front of thousands of eyes at each and every event. Join us today and see what an impact partnering with our team can have for you!